WITH AUTO RESET CHIPS FITTED! 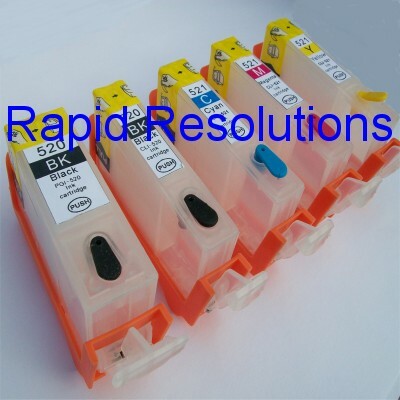 For use with Canon Pixma MG6150 MG6250 MG8150 MG8250 printers and more that use the above cartridge types. Picture does not show Grey cartridge but it is included! We also sell the Refill Ink Incl. Pigment Black & Grey at this link!